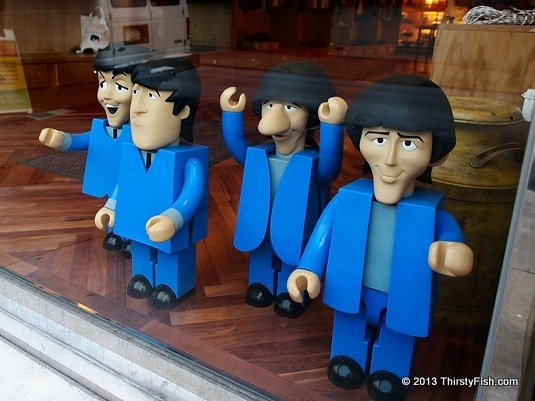 These oversized Lego Beatles were decorating a store window on South Street. The Beatles continue to be popular and relevant after all these years. They are the best-selling band in history, they've had over 20 number-one hits, and made the lists of 100 most influential people in the 20th century, but they are not quite "more popular than Jesus" yet. They were also politically and socially active, fueling movements such as women's liberation, gay liberation, individualism and environmentalism.